The first few months of 2019 have seen the Latin America CAPE team busily working with our collaborators to set up our exciting projects for the year. In this newsletter we highlight a selection of our ground-breaking projects our friends and stakeholders can participate in. 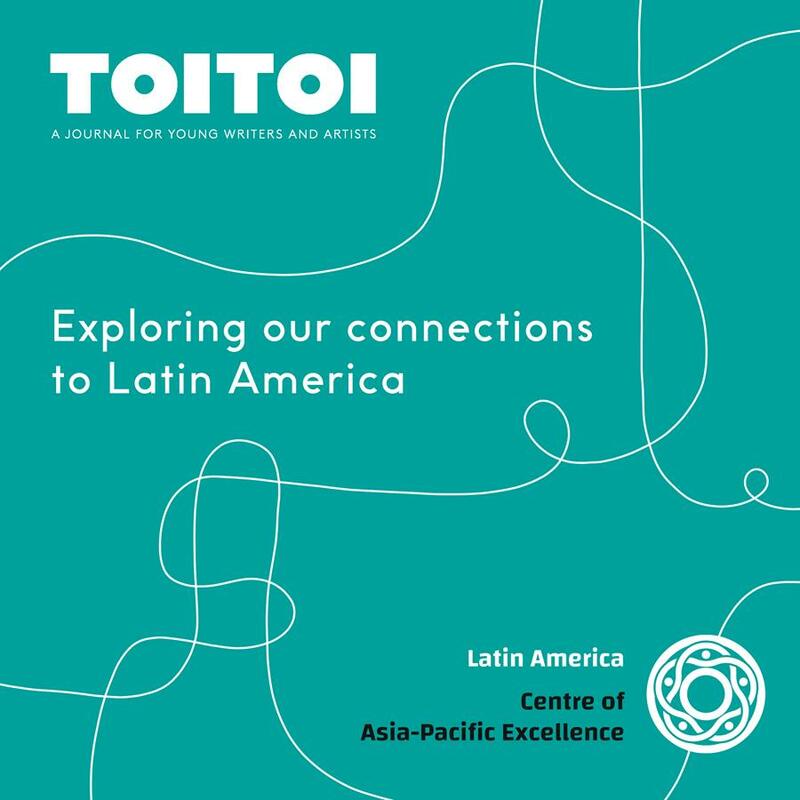 Our project with Toitoi Media, Victoria University of Wellington, and SEACAPE is a great opportunity for creative youngsters to share their artwork and writing about Latin America or Southeast Asia in classrooms and libraries across New Zealand. In a further link between education and culture, we’re delighted to announce that Colombian artist Nicolás Paris, who we brought to New Zealand last year, is opening his exhibition at the Govett-Brewster Art Gallery in New Plymouth and bringing Latin American art into Taranaki schools. 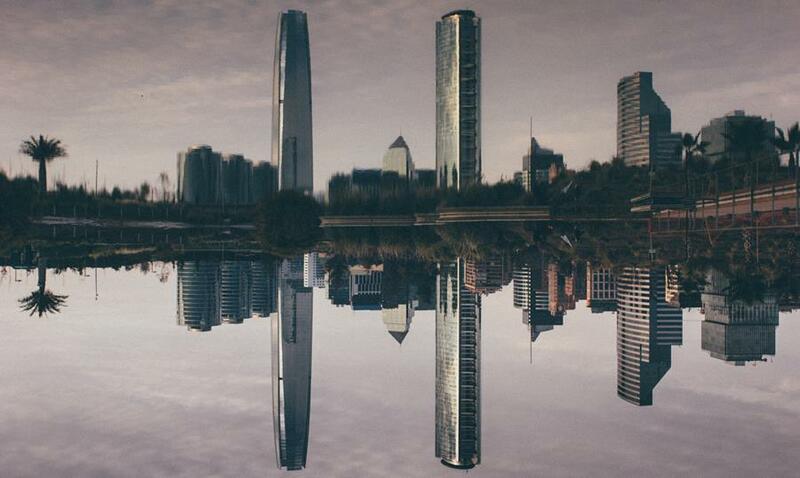 Turning to the business sector, we are calling for applicants for an internship in Santiago with the Chilean Pacific Foundation as it hosts ABAC (APEC Business Advisory Council) events around Chile’s APEC Year. 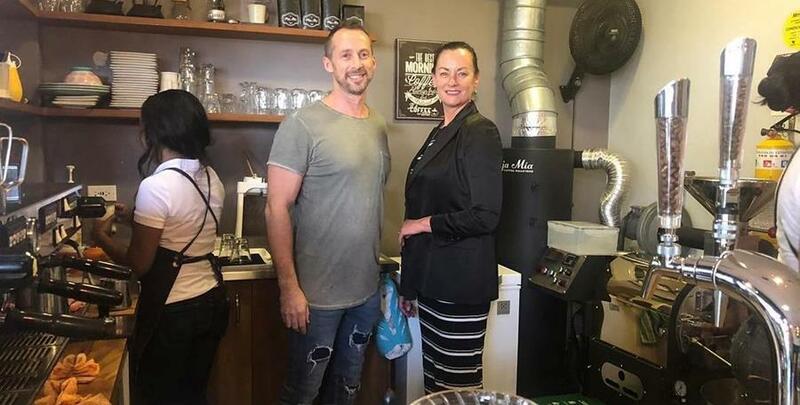 Here in New Zealand, local coffee baron and Cubanista Geoff Marsland spoke about “Cuba, Life & Business" as part of our contribution to the Embassy of Cuba’s celebration of 20 years of diplomatic relations between our two countries. Starting with this newsletter, we’re bringing our readers and followers closer to some of the great individuals we have the privilege of working with. 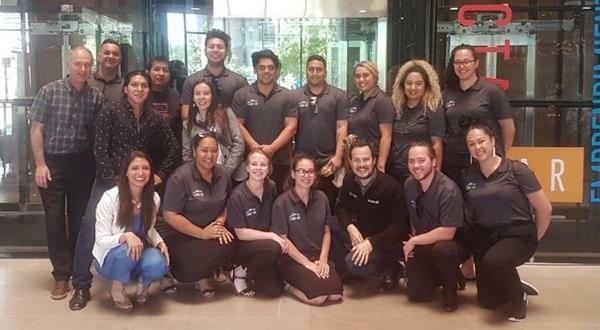 Check out our Q&A with Lyric Bird below, where she discusses what her journey to Chile with the Strengthening Māori Business Capabilities programme has meant to her life here in New Zealand. Finally, this past month has seen one of the worst tragedies to hit our country. We send our condolences to those affected by this tragedy. At the same time, we are touched by the acts of solidarity and unity we’ve seen in response, and the outpouring of support we received from around the world, including Latin America. Kia kaha, asalaamu aleiykum and estamos juntos, Aotearoa. Are you are a market and business-savvy student or recent graduate wanting to expand your knowledge of Pacific Rim economies, foreign trade and international relations? The Asia Pacific Economic Cooperation Forum is coming up in Chile later this year, and then in New Zealand in 2021. The Latin America Centre of Asia-Pacific Excellence (Latin America CAPE) and the Southeast Asia Centre of Asia-Pacific Excellence (SEA CAPE) are delighted to announce an innovative collaboration with Toitoi Media and the School of Languages and Cultures at Victoria University of Wellington to produce two special publications focused on our regions. Toitoi Media and the National Library of New Zealand are running workshops for teachers in Auckland (April 15), Christchurch (April 17), and Wellington (April 18) in order to provide teachers with resources and ideas for supporting students' submissions. 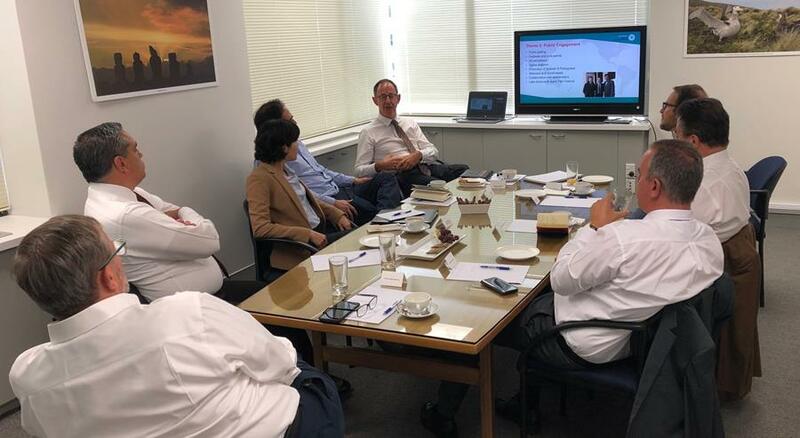 The Latin America CAPE team recently met with Ambassadors and representatives from the Group of Latin America and the Caribbean (‘GRULAC’) in New Zealand to discuss our 2019 Planned Projects. Click below to read more about our interactions with Latin American governments. 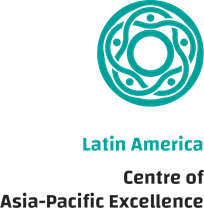 As a Centre of Excellence, it is important for us to build ties with key stakeholders and partners on the ground in Latin America. One of our team members, Lucy O'Neill, spent time in Bogotá and Medellín prior to the start of the Entrepreneurship in Colombia mobility programme. Lucy outlines in the first of two articles how our bilateral relationship is continuing to grow through Kiwis succeeding in Colombia. 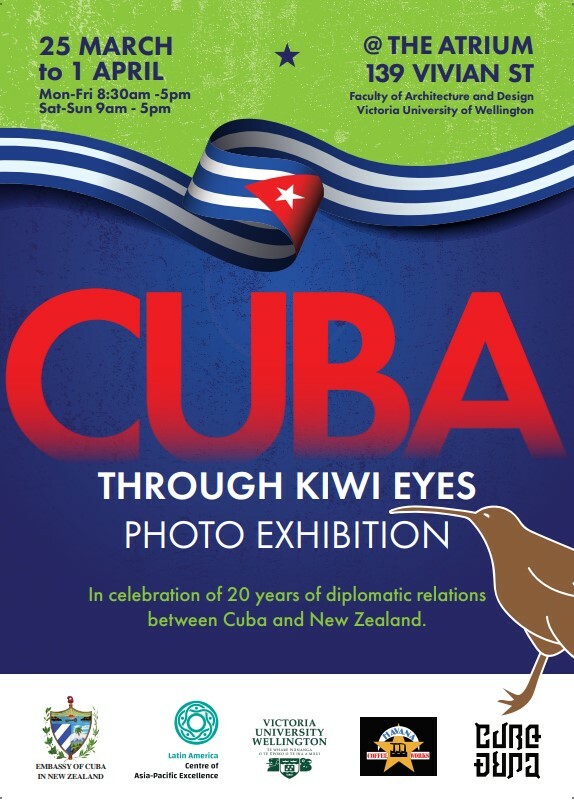 On the eve of the formal opening of the "Cuba Through Kiwi Eyes" exhibition noted in our Events section below, we were delighted to host a great presentation from well-known Wellington entrepreneur Geoff Marsland on his many years of experience doing business with Cuba for Havana Coffee Works. In a lively and engaging address, Geoff laid out some fundamentals for business success in Latin America: don’t think you can do business there the same way you do business in New Zealand; look for ways for both sides to help each other; be a person of your word; follow through to earn trust; visit the market; and dress for success! We look forward to hosting more “business and life” talks in the future. Get a taste of the Caribbean in Wellington at the "Cuba Through Kiwi Eyes" photo exhibition now showing at Victoria University of Wellington. The exhibition showcases stunning photographs taken across Cuba by Kiwis who have visited the island nation and submitted as part of the Embassy of Cuba's Photo Contest. 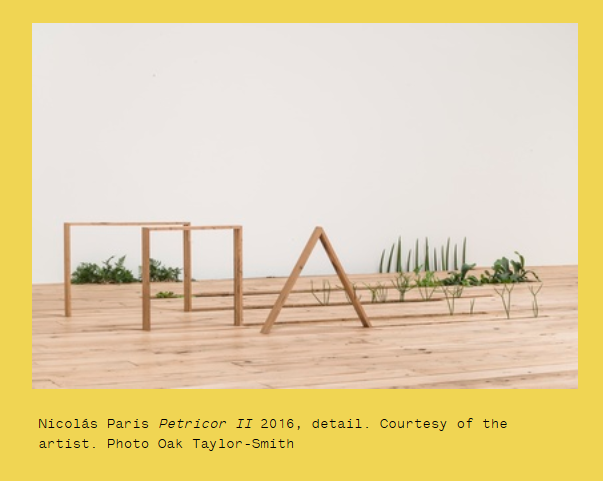 In December, the Latin America CAPE sponsored a research visit to New Zealand for Colombian artist Nicolás Paris Vélez. As Creative New Zealand's 2019 International Artist-in-Residence at the Govett-Brewster Art Gallery, Nicolás's work will be on display 6 April - 21 July, with a free exhibition viewing with the artist himself on 6 April. The exhibition is entitled "ko ngā herenga kei waenga i a tātou, lo que nos une, what connects us". Apply now for Prime Minister's Scholarship for Latin America! There’s nothing quite like living and working in a foreign country to provide a life-changing challenge – and a great opportunity to do that ends tomorrow! The Prime Minister’s Scholarships for Latin America facilitates exchanges and internships for New Zealanders in Colombia, Brazil, Mexico, Chile, Argentina, and Peru. These exchanges and internships can include a focus on business, social sciences, create arts and culture, indigenous studies, or ICT/new media. Candidates must be New Zealand citizens or Permanent Residents at least 18 years of age. The scholarship is funded by the New Zealand government and administered by Education New Zealand. Visit the Education New Zealand web site for more information and to submit an application.